We've been there before. It's a hot summer day and your pup just won't stop panting (even indoors). 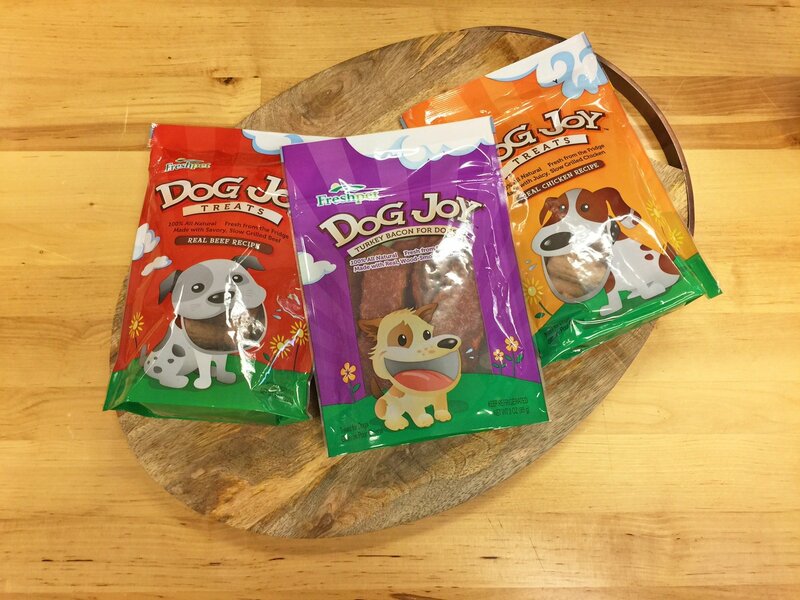 Well we have just the thing to cool down your dog. 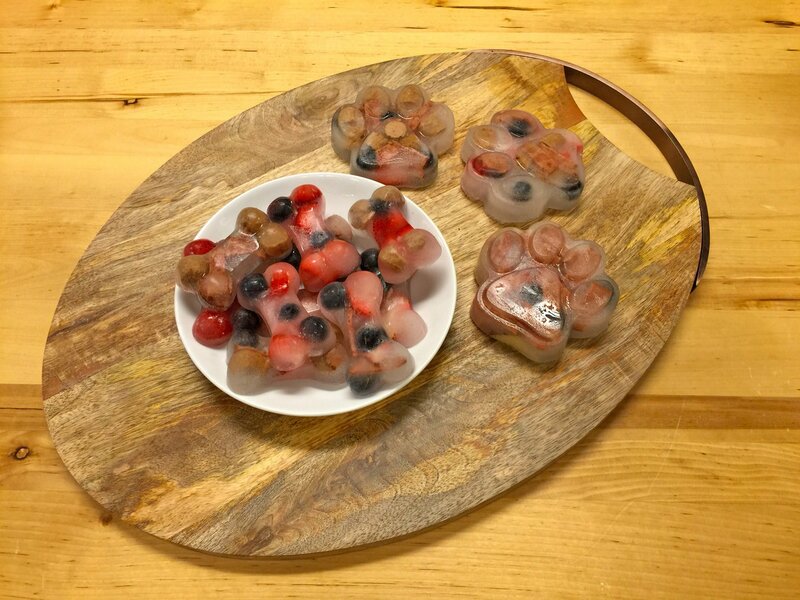 Try our recipe for refreshing frozen treats that you can easily make and store for many hot days to come! 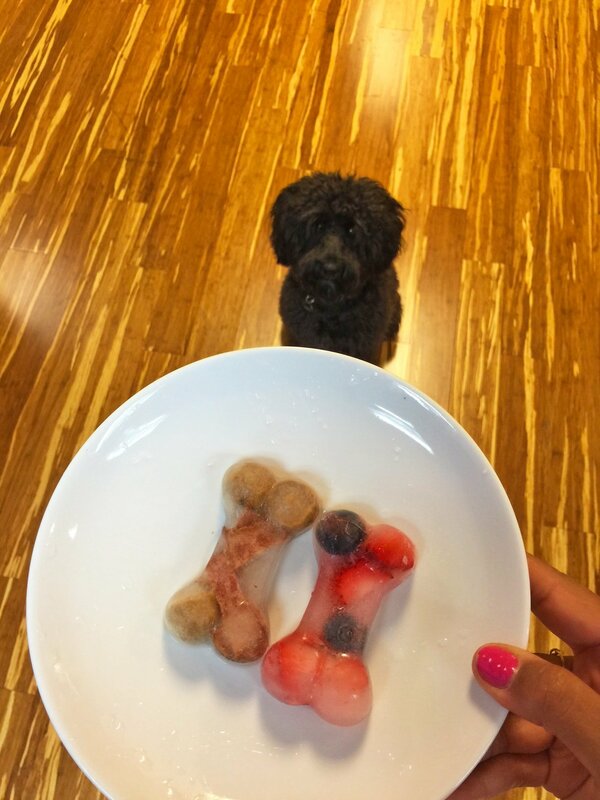 You'll also need water for the base of the frozen treat (Pro Tip: You can consider using a natural light/low sodium chicken broth to entice your dog). 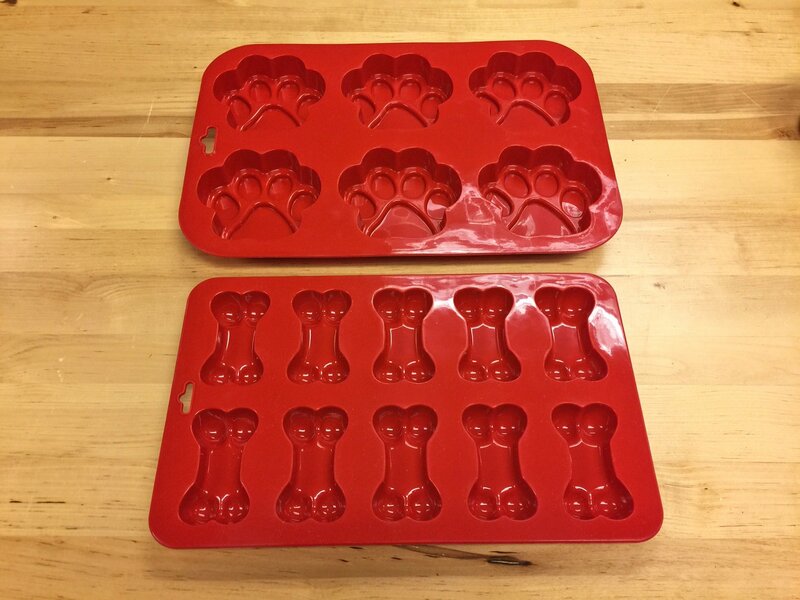 Last but certainly not least, you'll need molded trays. 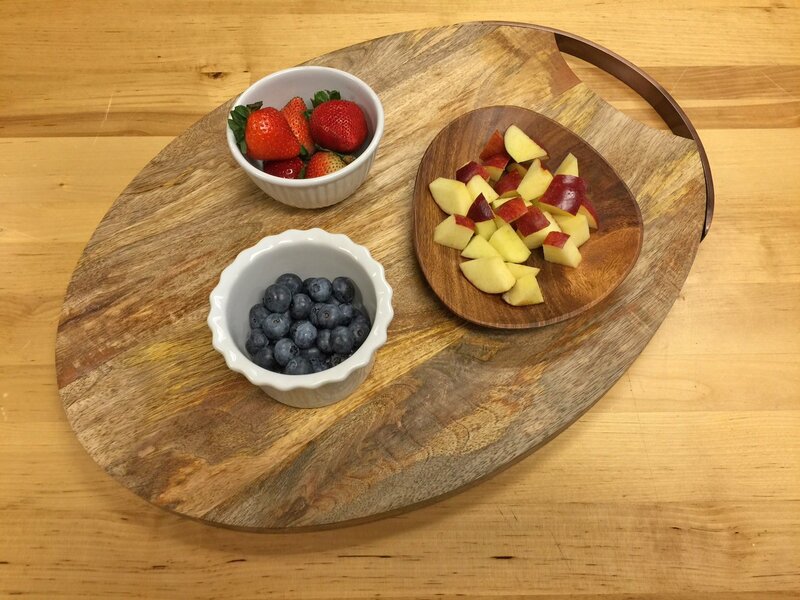 We recommend using silicone trays that are BPA free, PVC free, phthalate and nitrosamine free. 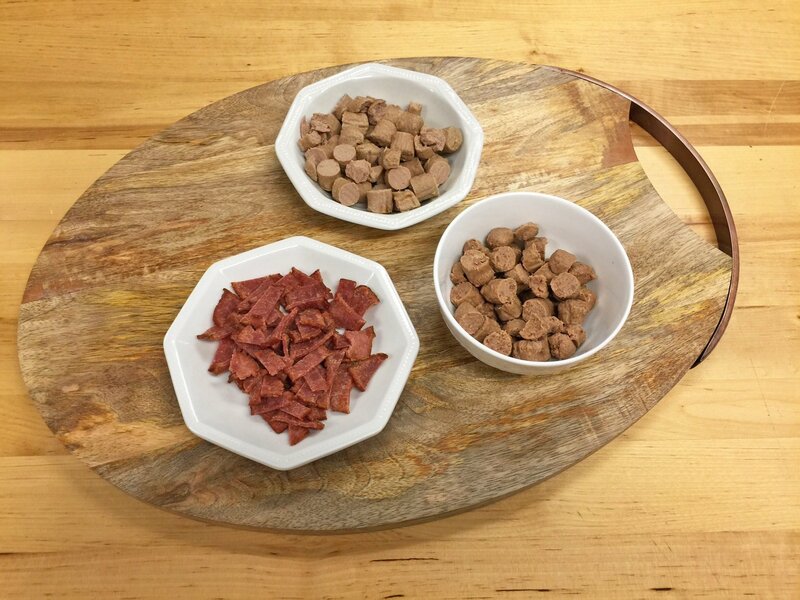 Silicone trays are easily bendable, allowing you to use fun shapes that you can pop out without too much work. 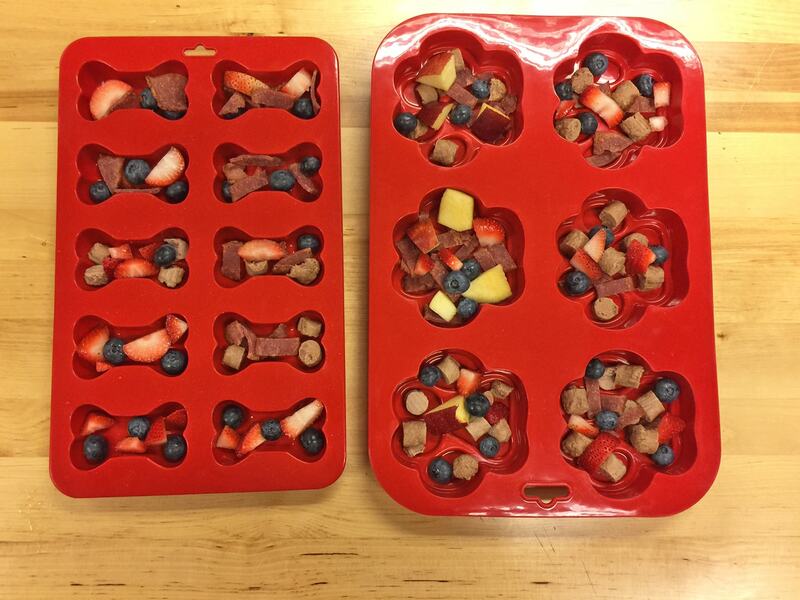 We were excited to find these paw and bone-shaped trays! 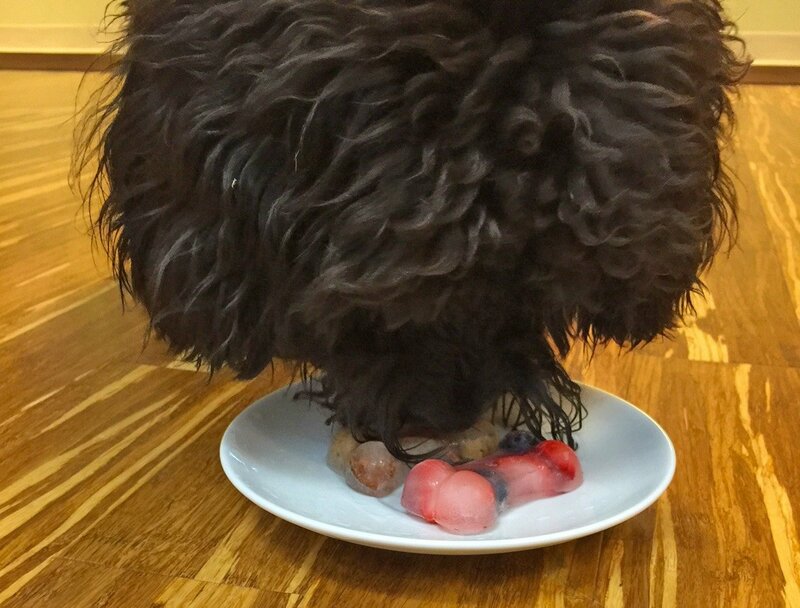 Dice the treats and fruits into bite-sized morsels. Sprinkle the ingredients into each individual mold. Have fun and mix things up. 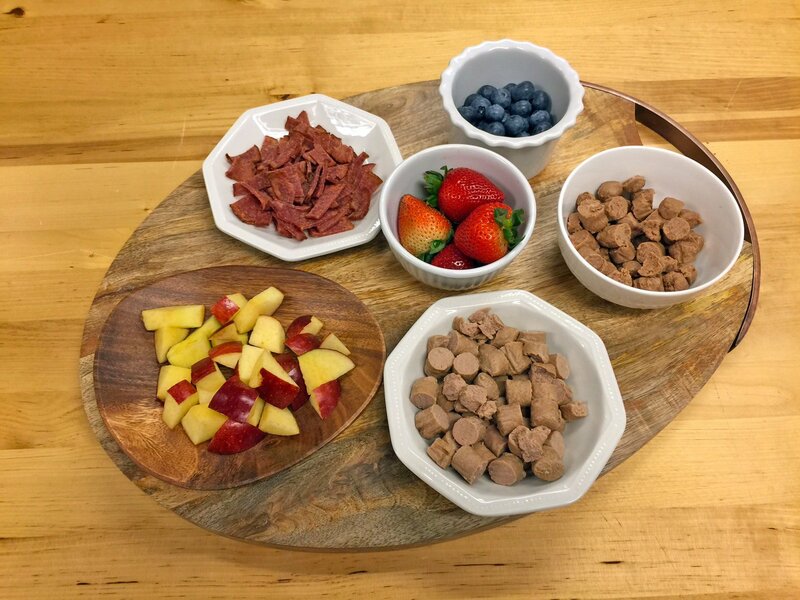 Consider one treat with all fruits, or just Turkey Bacon! Pour water (or broth) over each mold. 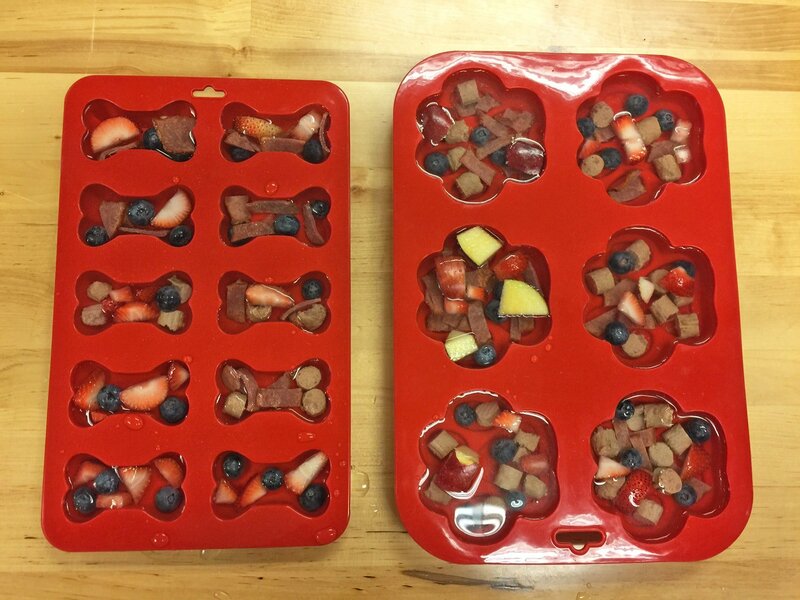 Since these mold trays are bendable, we recommend placing a baking sheet or tray just underneath the mold before pouring in the water. 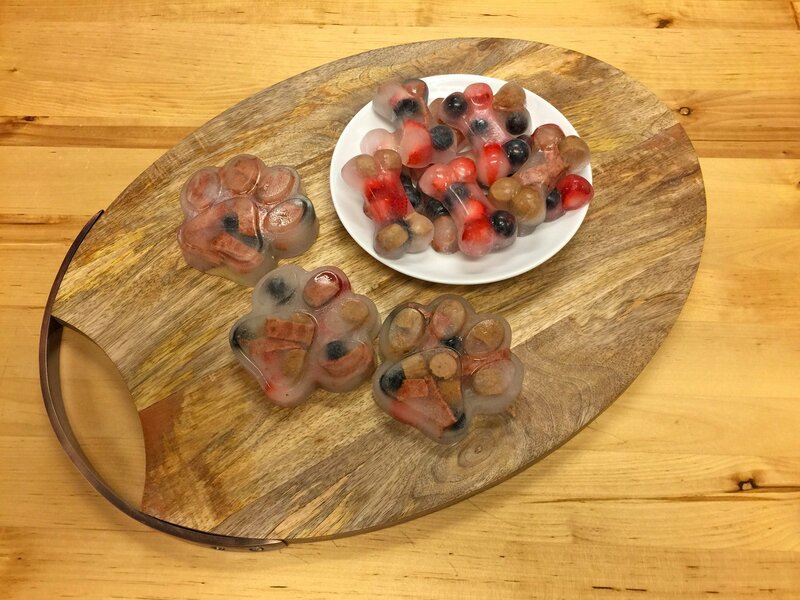 This way you can easily pick up the molds easily when you're ready to freeze. 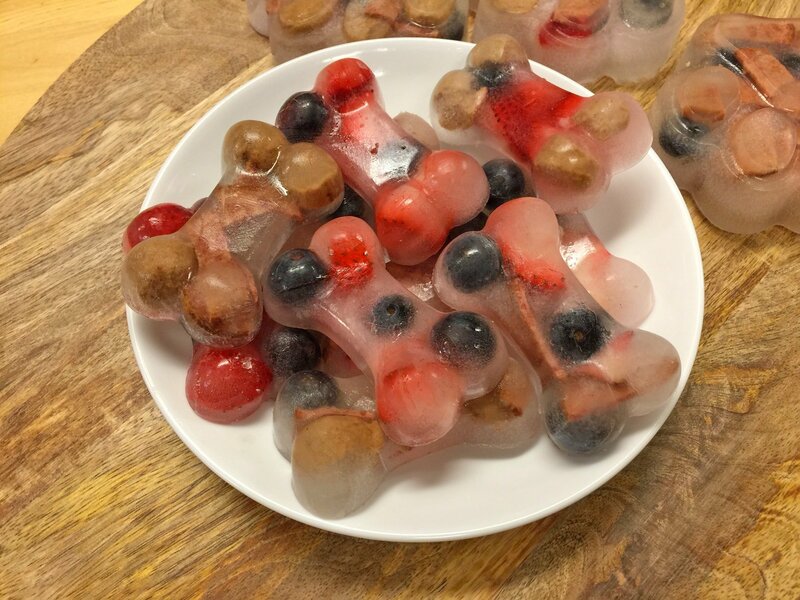 Pop the molds into the freezer for about 3-4 hours or until they are completely frozen. 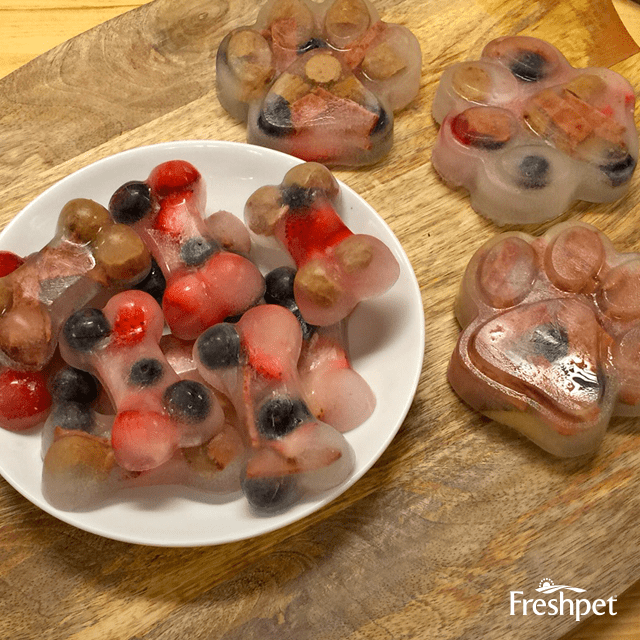 Take them out of the fridge and serve on a hot day!